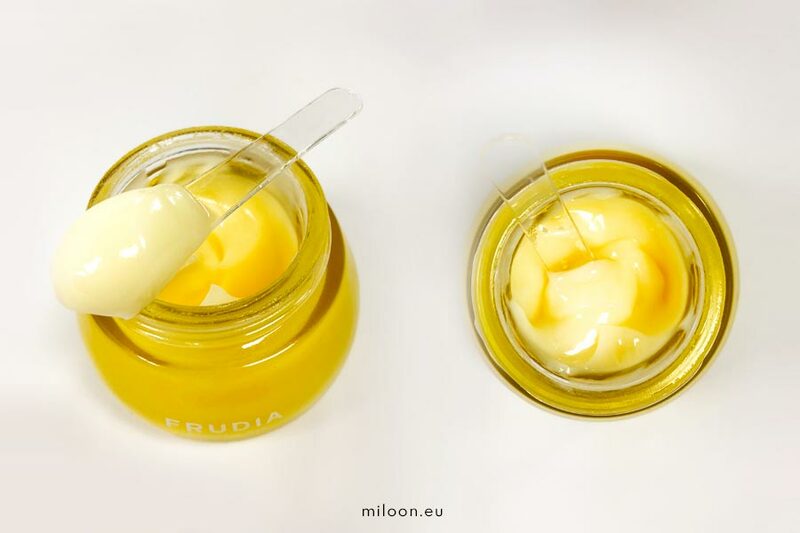 Milena had Frudia’s Citrus Brightening Cream tested for you. This miraculous cream only employs natural ingredients, maximizing the goodness of vitamin C to lighten, hydrate, nourish and delay the signs of aging. Spoiler Alert. This episode of Tested For You is definitely less orthodox than the others, as this is an integral part of Milena’s routine and is now in heavy rotation. That’s why she propose some interesting take on the standard use to amplify the already the cream’s powerful effects. Let’s dive into the review and let’s get carried away by the citrus aroma of the island of Juju. 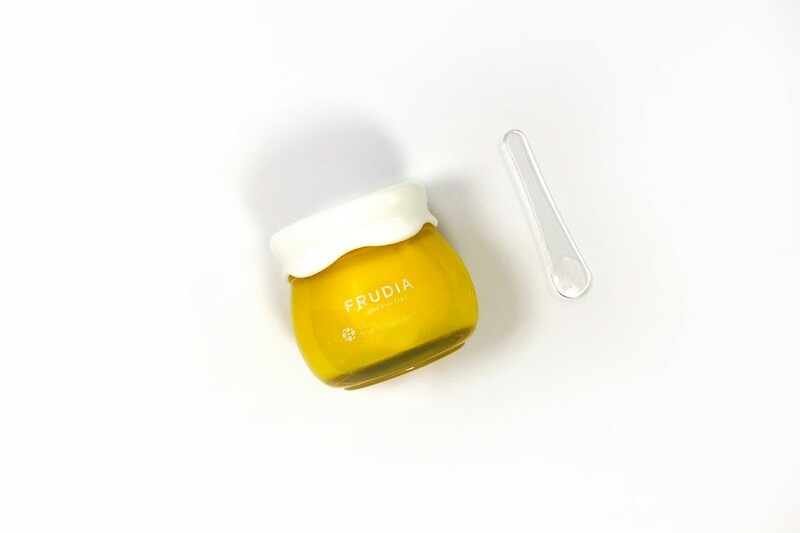 “Frudia”, the super exclusive Korean brand that revitalize and re-energize the skin in the most natural way ever. A supercharged breed of skincare with a waterless formulas and organic fruit-derived extracts, this products’ line hydrate and nourish skin by only including ingredients full of healthy antioxidants. Formulas are packed with powerful ingredients, and leave out anything without a benefit to skin – and benefits range from fighting the signs of aging to minimizing pores. In fact, it’s not a secret that plants and fruits provide a rich repository of nutrients. After 30 years of research, this brand made it possible to enjoy fruits in a new and exciting way in skin care. The brand’s payoff is ‘Real fruit goes skin deep’. In fact, FRUDIA employs a revolutionary technology, namely R VITA W™. It consists in extracting pure fruit juice at low temperatures without losing nutrients and vitamins in fruits. Moreover the brand utilizes the extracted juice as a base water instead of using purified water. 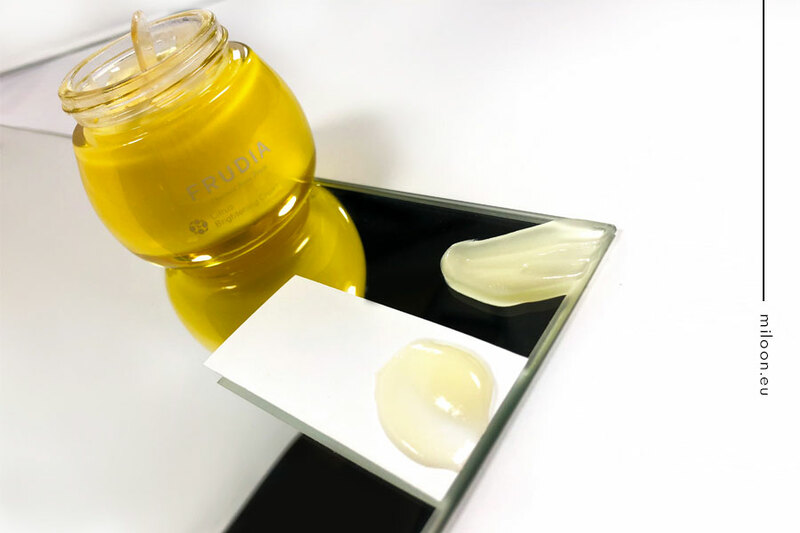 Frudia delivers nutrients to transform the skin and promote healthy brilliance. It takes the natural antioxidants derived from fruit to create highly nourishing products. It also has the beneficial properties of fruit to the skin with minimal nutrients’ loss. Make your skin as happy and vibrant as fruit itself with Frudia. Organized in 4 super colorful lines Frudia delivers Cleansers, Toners, Serums, Creams and a collection of sheet mask. During the past months we examined the brand and some of its most notable products. Try checking. Need to burst the vital energy? Frudia’s Citrus is perfect to give vitalization on skin that brightens. With 86% citrus extract, it will make the skin silky smooth with natural vitamins. It will balance the skin-tone and revitalizes the skin. Citrus line will deliver moisture, vitamins and a healthy skin glow; moreover a solid whitening function is for a clearer surface is another feature that will make you love this amazing product. For ever. Citrus Brightening cream resembling a mandarin smoothie, containing 61% citrus extracts from JuJu Islands. This cream is packed with Vitamin C to smoothen and visibly illuminate your skin. Moreover, mango seed oil revitalizes and provides an optimal level of hydration for a feeling of freshness that last the all day. Thanks to R Vita W technique, nutrients are obtained at low temperature to provide valuable antioxidants for the skin. Extracts of seeds and fruit are processed with extreme care to preserve their color and smell. Citrus Brightening cream completed tests in terms of safety for the skin. This is super rich in minerals, vitamins and antioxidants, manadryal extract and fruit juice (pulp, seeds, fruit skin). The origin of citrus from JuJu island as expressly certified. Following is the fill ingredients list. Frudia Citrus Brightening Cream is transparent in color and has a very particular consistency. It is not very creamy, but very dense. The scent is fresh. You can clearly perceive citrus notes, with a marked fruit aroma, to guarantee its innovative formulation that distinguishes itself not to add water, but to use the one already present in the fruit used for packaging the product through the revolutionary extraction process of which we have already spoken. Apply the right amount of cream on the skin. Gently pat until the product is completely absorbed. MY VERSION OF THE APPLICATION. I personally apply it in the lower area of ​​the eye contour for its illuminating function which also performs a formidable anti-wrinkle action, thanks to the antioxidants contained in the citrus vitamin C. I think anyone using Klairs Vitamin Drops should try this fantastic product. Sometimes I try a variant to speed up the process of clearing and get extra hydration. I apply a thick layer of Citrus Brightening Cream, and I put on a sheet mask, leaving it to act for the classic 10 -15 minutes, depending on the type of mask. I can sum it up like this: luminous skin immediately. It takes only a few days to get a uniform color and a radiant look. I noticed that the spots are definitely cloudy, even signs and scars, residues of small crushed pimples, are already disappearing. Simply super. – Hydrates the skin by not leaving it greasy. 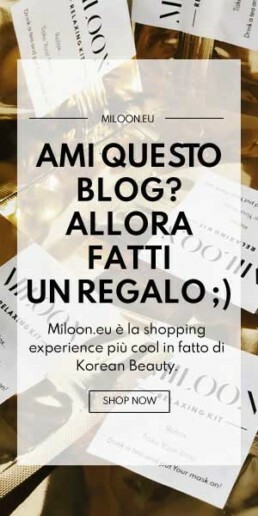 – It has anti-wrinkle functions. – Brightens the skin and rebalances the levels.